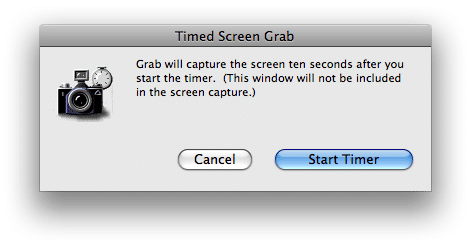 On a mac, the easiest way to take a screenshot of the screen is by using an application called Grab which is available on every Mac computers. You can find the Grab application by locating /Applications/Utilities/Grab in Finder. Grab will save the screenshot as a TIFF image.